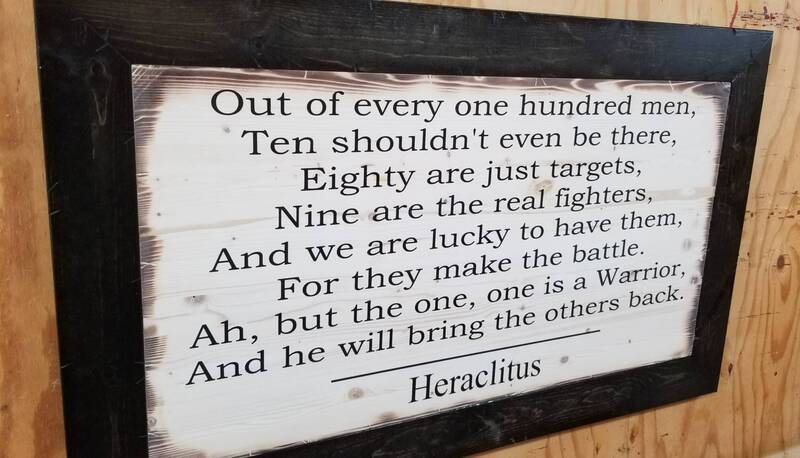 Wooden Rustic Sign with Heraclitus Quote, "Out of every one hundred men..."
Available with a frame (as shown) or without. Made using all new wood that is distressed by hand for our unique look. The wood is stained and the wording is painted on. A high gloss clear coat is applied for beautiful finish. All of our items are handmade to order. If you need an item by a certain date please let us know and we will see what we can do.